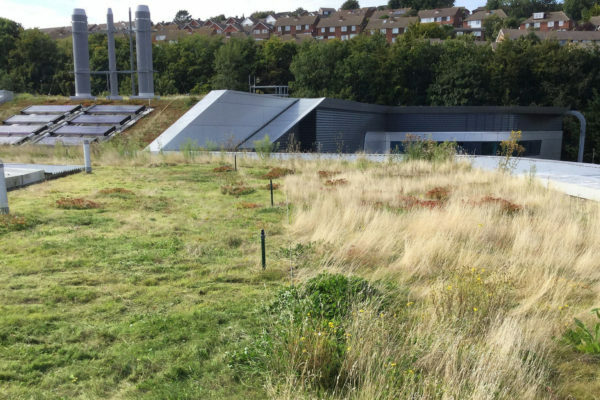 We’ve been working with University of Brighton for several years to revive and care for the green roofs across their estate. We were invited initially to assist with the sedum roofs on the Huxley science building and Sports Centre, which had been installed with insufficient substrate (growing medium typically made from crushed recycled brick and aircrete blocks). 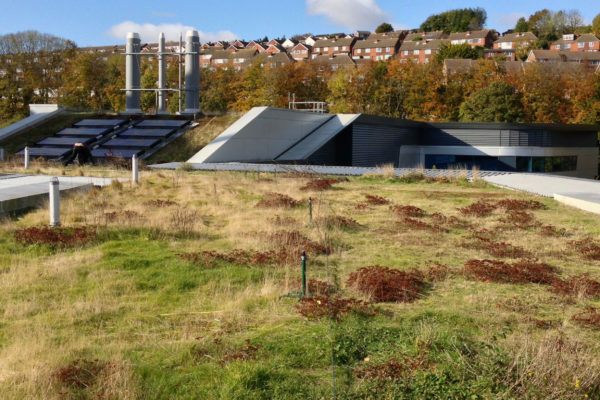 The Huxley roof in particular is one of our favourites, having nursed it back to health and allowed a number of non-aggressive grasses and wildflowers to colonise large areas of the roof. We continue to undertake bi-annual planned maintenance visits, removing unwanted invasives and ensuring the drainage outlets and channels are clear of obstruction. As you can see from the image below, we have been successfully implementing a cut/no-cut regime in which half of the sward is left un-mown to provide food and shelter for over-wintering invertebrates and birds. This is in line with our preference for non-horticultural methods of managing rooftop vegetation. 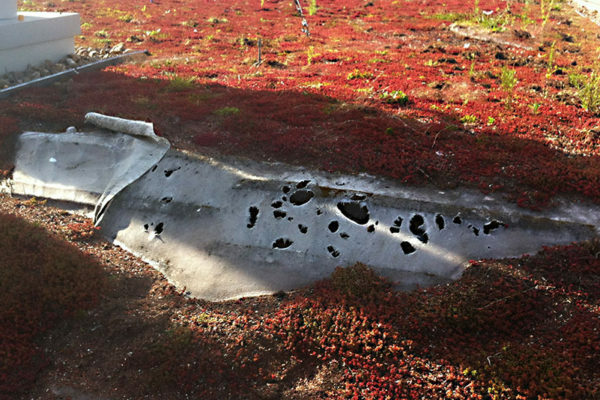 The Huxley roof, overlooked as it is by the School of Biology based in the Cockroft Building next door, is now also part of ongoing study by a number of under- and post-graduate students who monitor the life on the roof, as well as undertaking a comparative study of soil composition to help us better understand how our lightweight HayBase method enables the plant growth it does.